Wedge is Obi-Wan's uncle? 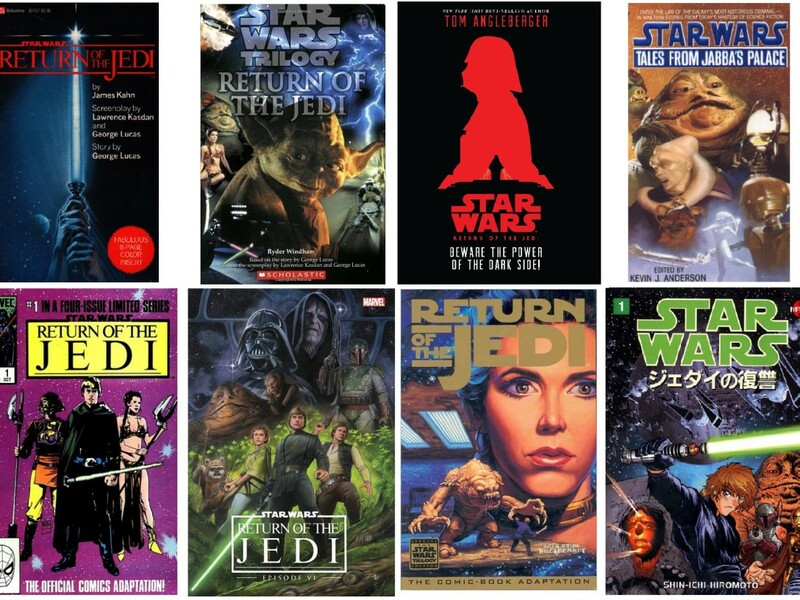 Discover the real-life family connections between the actors and creators of the Star Wars saga! His nephew Ewan McGregor grew up seeing the strange life his uncle lived and his first brush with acting came at the age of six (in 1977) when the young Ewan was given the chance to play David in a Sunday school production of the Bible story of David and Goliath. There was only one problem: Ewan could not read at that point. Still, he studied hard and managed to give away an impressive performance, with each line remembered word-perfect. The second significant event of his life would come a year later, when Star Wars premiered in the UK, starting his life-long fascination with acting and the Star Wars saga. His uncle would always be a guiding light for Ewan; Denis helped him prepare for his first big role as Private Hopper in the TV series Lipstick on Your Collar. Together they did a couple of stage and film productions together, with Denis directing his nephew. It wouldn’t be until 2011 that they starred together in a movie: Perfect Sense. Talking about Ewan McGregor, our next family connection has to do with him, as well. 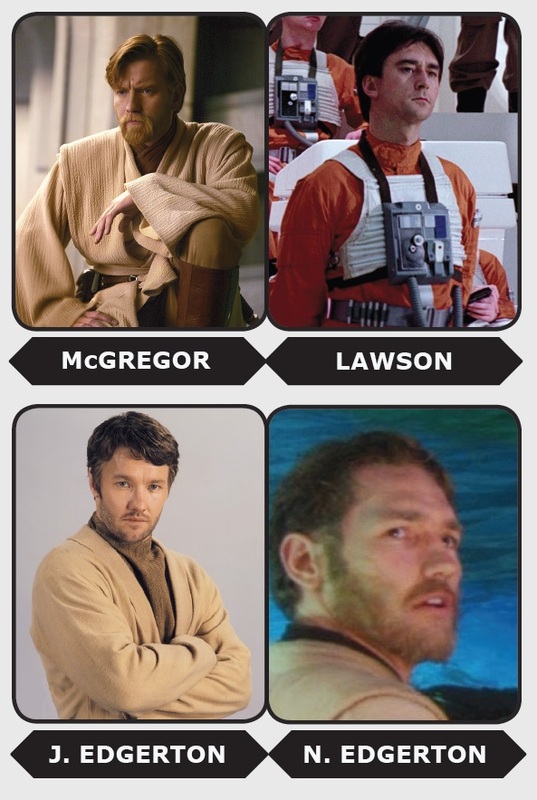 Ewan’s stunt double for Attack of the Clones and Revenge of the Sith was Nash Edgerton. His brother is Joel, who played the younger incarnation of Uncle Owen as seen in Attack of the Clones and Revenge of the Sith. The elder of the brothers by a year, Nash is mostly known for his work as a director (among his credits are three music videos for Bob Dylan) and as a stuntman. Besides being the stunt double of Ewan, Nash worked on The Matrix trilogy and Superman Returns. His biggest starring role as an actor was Zero Dark Thirty. Joel Edgerton has done lots of work on and off stage, and besides the part of Uncle Owen, he is well-known for his role as William McGill in the Australian television series The Secret Life of Us, which got him noticed in the industry, leading to his international big break with Star Wars. Besides working together on Star Wars, the brothers worked together on several film projects, including the music video of Ben Lee’s 2002 single Something Borrowed, Something Blue in which Nash directed his brother. When Obi-Wan Kenobi brings Anakin Skywalker’s newborn son to Uncle Owen in Revenge of the Sith, baby Luke (as well as baby Leia) was played Aidan Barton, the son of Revenge of the Sith editor Roger Barton. Roger Barton has worked as a film editor on many Hollywood productions ever since his first movie, James Cameron’s Titanic. The latest projects he worked on were Transformers: Age of Extinction and the upcoming Terminator: Genisys. 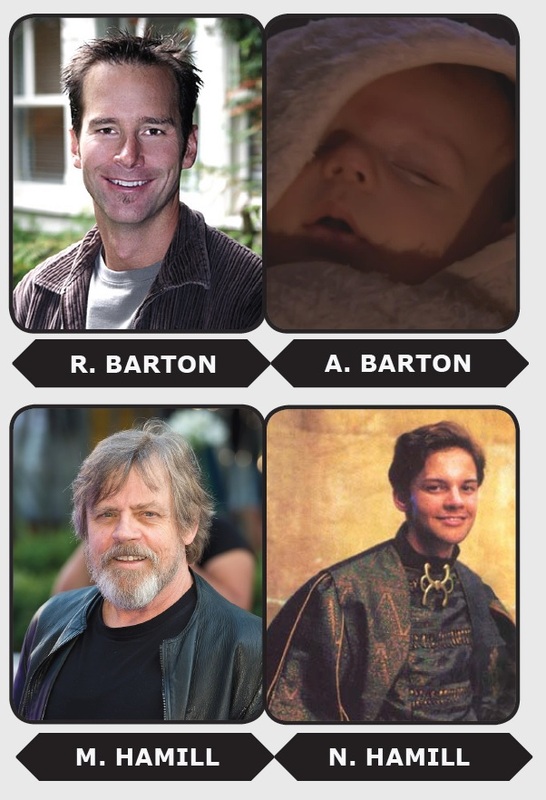 While we all know that Mark Hamill played Luke in the original trilogy, and returns to the role for Star Wars: The Force Awakens, his son Nathan also appeared in the saga. In The Phantom Menace he played a minor character seen on Naboo, later identified as Rehtul Minnau. But the connection of Nathan to Star Wars does not end there. He was born in the middle of the film shoot for The Empire Strikes Back, early in the morning of the day that his father had to shoot the scene in which he drops from the weathervane and onto the exterior of the Millennium Falcon. Nathan also illustrated sketch cards for the Topps Star Wars Galaxy Series 4 trading card set that came out in 2009. With Billy Dee Williams’ expanded role for Return of the Jedi, it became apparent that they needed a body double to stand in during some of the more dangerous stunts. Billy Dee immediately turned to ask his son, with whom he often went to the gym, so he knew he was in shape for this tasking job. Corey, having spent quite some time on sets watching his father work, knew how tedious a job it could be so he was reluctant. Corey was also trying to finish some demos for his band, so when it turned out that it was possible for him to bring his close friend, Stephen Costantino, the band’s guitarist, Corey accepted. Stephen was put into the costume of a Gamorrean Guard, while Corey was standing in for his father. The shoot turned out to be a strain on many of the stunt men involved, with many of them getting injured. This led to Corey also donning the costume for Klaatu. 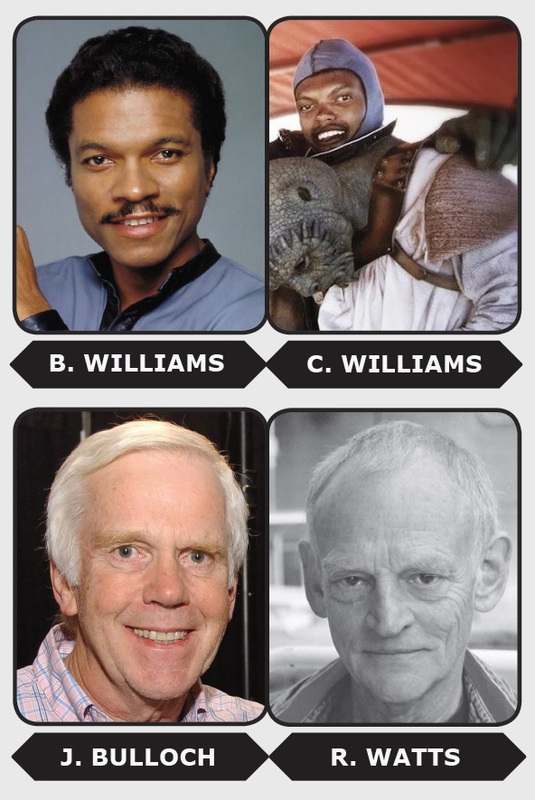 Ever since 1960, when Robert Watts started to work in the movie industry, he wanted to try and get his half-brother actor Jeremy Bulloch in a movie that he was working on. Despite Jeremy Bulloch having appeared in quite a few major productions, like a James Bond movie and two episodes of the British sci-fi classic TV series Doctor Who, it was not until 1979 that it finally happened. Working as an associate producer, Watts had to find someone who would fit in the costume of Boba Fett. He called his half-brother and told him that if the costume fit him, he had the role. When Jeremy Bulloch arrived and put on the costume, it fit him like a glove. George Lucas saw Bulloch as Boba and said, “You look fantastic.”, and thus, an iconic character of the saga was born. 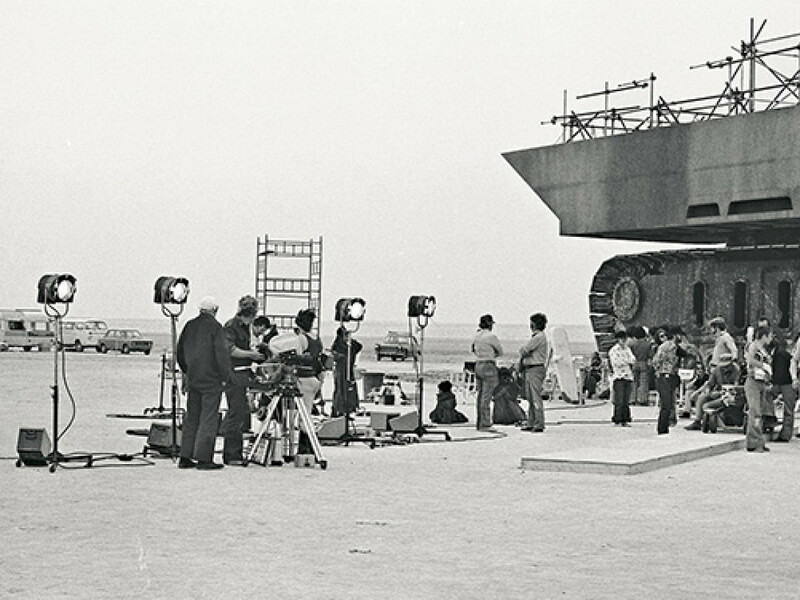 The very first chronological family connection that exists behind the scenes must have been when producer Gary Kurtz brought his two daughters along with him to Tunisia to stand in as Jawas. Melissa and Tiffany L. Kurtz played these diminutive junk dealers in scenes like the purchase of the droids at the Lars Homestead, but also in the canyon where the Jawas captured R2-D2. Gary Kurtz’s wife at the time, Meredith, planned the wrap party for The Empire Strikes Back in 1979. Jack Purvis played many characters throughout the saga, starting with the head Jawa who shoots R2-D2, the Cantina patron Kitik Keed’kak, and a gonk droid in A New Hope. He was also the chief Ugnaught, Ugloste, that freezes Han Solo in carbonite in The Empire Strikes Back. For Return of the Jedi, he returned as an Ewok, Teebo, and his teenage daughter played the Ewok mother who holds the (very cute) Wokling. Femi Taylor, a dancer, starred in the musical Cats before playing Oola in Return of the Jedi; her adoptive brother, Benedict, was seen in The Phantom Menace as the Naboo pilot Porro Dolphe (Bravo 2). Like Gary Kurtz before him with A New Hope, Rick McCallum, the producer of the prequels, brought his daughter Olivia “Mousy” McCallum along to the sets of Revenge of the Sith, where she served as a set production assistant. She also played the Jedi character called Bene, seen killed by Darth Vader in the hologram recording that Obi-Wan Kenobi watches. Husband and wife Hilton McRae and Lindsay Duncan are well-respected for their various acting roles on TV, film and theater, before and after Star Wars. Hilton McRae appeared in Return of the Jedi as the A-wing pilot Arvel Crynyd, who crashes into the bridge of the Super Star Destroyer Executor. Lindsay Duncan was the voice of TC-14 in The Phantom Menace. 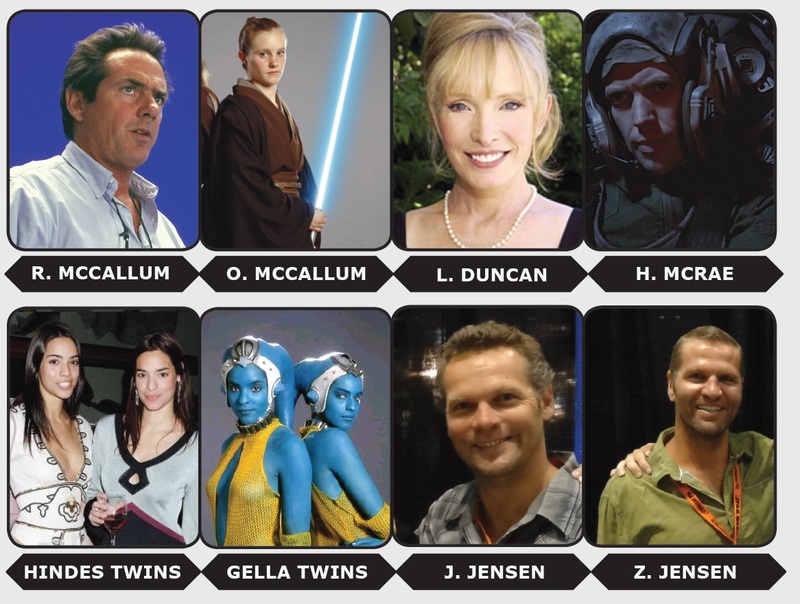 Also seen in The Phantom Menace are the twin sisters, and models, Nifa and Nishan Hindes. They played An and Tann Gella, Sebulba’s masseuses. 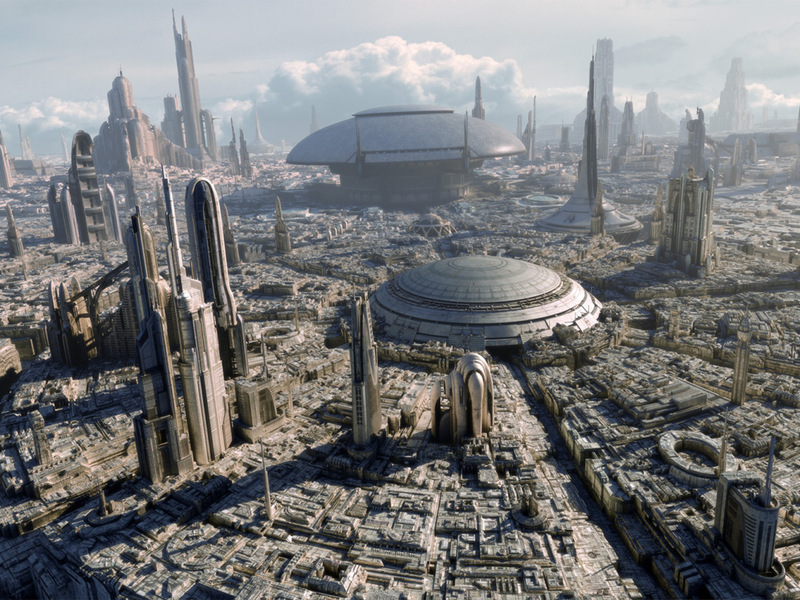 Brothers Zac and Jesse Jensen originally worked as set carpenters and set up various departments for Attack of the Clones. Through the course of his work, Zac befriended Matt Sloan from the creature shop crew. While Sloan was going to play Plo Koon, he offered Zac the role of Kit Fisto. Zac then brought his brother Jesse in when he heard they were looking for someone to play Saesee Tiin. Fresh from starring in the movie Jingle All The Way, Jake Lloyd played 9-year old Anakin Skywalker in The Phantom Menace. When filming the end ceremony in the UK, he brought his younger sister Madison with him, and she appears in the scene behind him. These days Jake is working behind the scenes as a freelance editor. 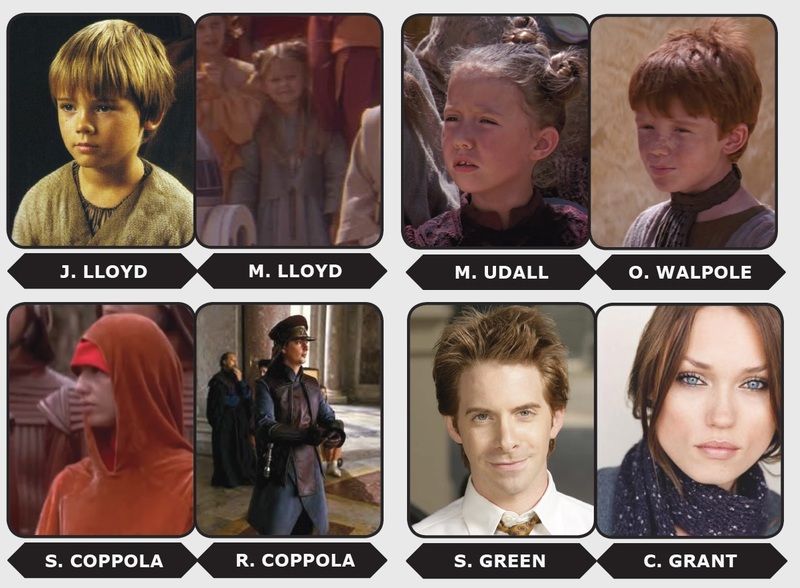 Anakin’s childhood friends also share relatives with people behind the scenes. Melee was played by Megan Udall and is the daughter of Jeanie Udall, the Unit Nurse for The Phantom Menace. Seek, as played by Oliver Walpole, is the son of set decorator Peter Walpole. The son and daughter of Francis Ford Coppola, a longtime friend of George Lucas, appear together in The Phantom Menace. Sofia Coppola played the handmaiden Saché and her brother Roman appeared as the Naboo Security Forces corporal Cid Rushing. Longtime fan of Star Wars Seth Green married his wife Clare Grant on the Skywalker Ranch grounds in 2010. The year before saw Seth’s debut as Todo 360 in Star Wars: The Clone Wars, in which he would also voice the character Ion Papanoida, based on George Lucas’ son, Jett. His wife voiced the character Latts Razzi in The Clone Wars. 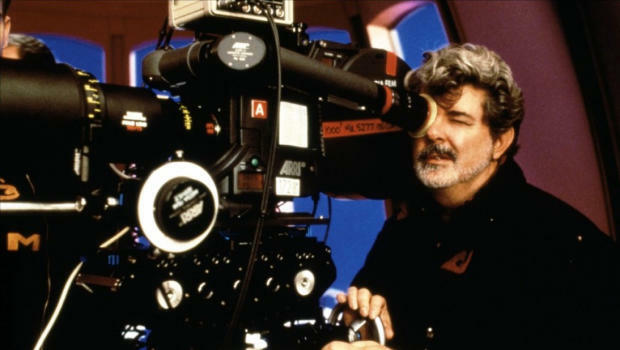 And we end this article with the man behind it all: George Lucas. 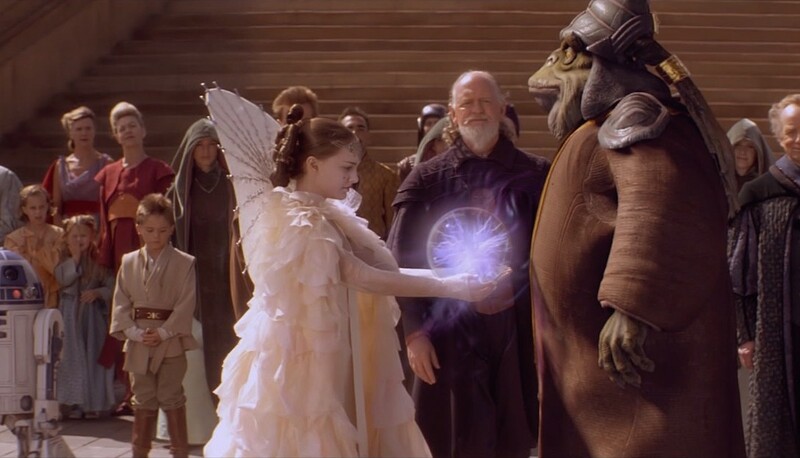 It was not until Revenge of the Sith that would make his first on-screen cameo; his daughters and son can be seen in every Star Wars movie since the saga returned in 1999 with The Phantom Menace. 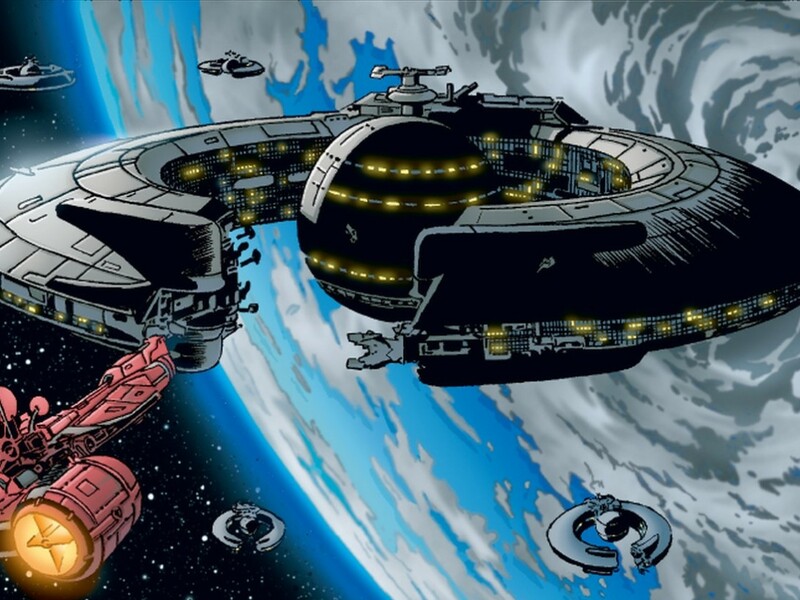 In The Phantom Menace, Amanda (the eldest of the siblings) was credited as Tyger for doing the voice of Tey How, the Neimoidian seen on the Trade Federation battleship. She also played Diva Funquita, standing next to Gardulla the Hutt during the Podrace. In Attack of the Clones, she appears during the Outlander Club scene as Adnama and in Revenge of the Sith she played senator Terr Taneel appearing in the background in a couple of scenes. In the Galaxies Opera House, she can be seen talking to a man in green clothing; this man is her husband, Jason Hallikainen, later identified in Star Wars Chronicles: The Prequels as the character Són Halliikeenovich. The Clone Wars character Che Amanwe Papanoida was based on her. 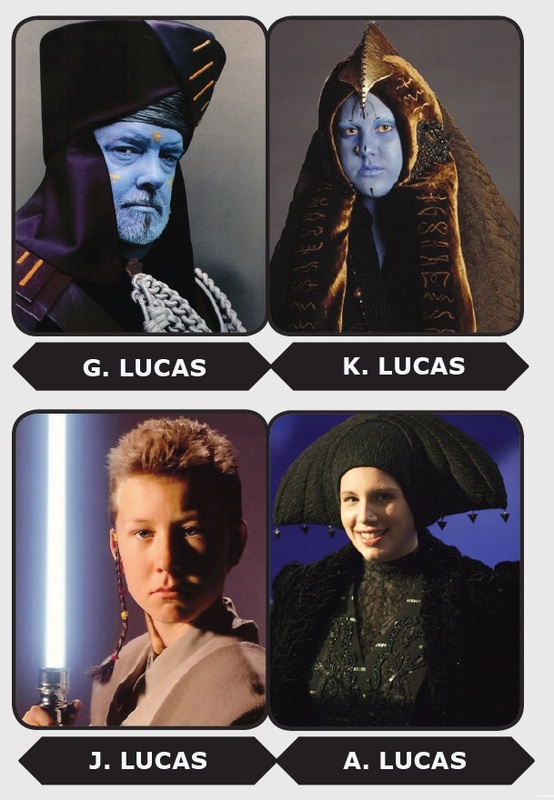 Katie Lucas played Amee in The Phantom Menace (although she was credited as Jenna Green), Lunae Minx, a purple skinned Twi’lek seen in the Outlander Club in Attack of the Clones, and also portrayed Chi Eekway Papanoida in Revenge of the Sith. She wrote 14 scripts for episodes of The Clone Wars, including the episodes surrounding the return of Darth Maul in “Brothers” and the episode “Sphere of Influence” featuring the Papanoida family. 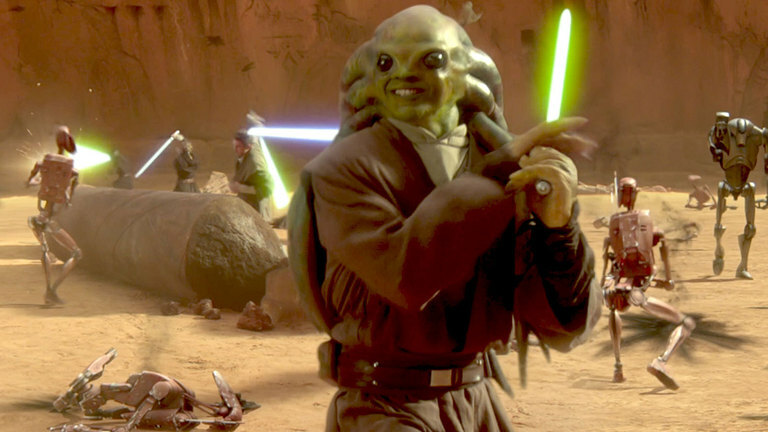 While Jett Lucas did not appear in The Phantom Menace, he played a Jedi Padawan named Zett Jukassa in both Attack of the Clones and Revenge of the Sith. In Attack of the Clones, he asked Jocasta Nu for help, and in Revenge of the Sith, died at the hands of clone troopers. His name was also the inspiration for the last name of Dexter Jettster. And there you have it — Star Wars is truly a story about families, both on the screen and behind the scenes. 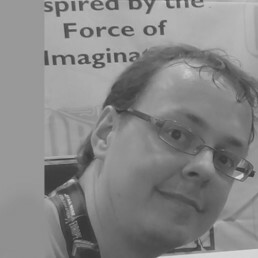 Sander de Lange (Exar Xan) from the Netherlands worked on the Rogues Gallery feature in Star Wars Insider and has written the back-story for Niai Fieso through “What’s the Story?”. He is an editor for TeeKay-421, the Belgian Star Wars Fanclub and an administrator for the Star Wars Sourcebooks page on Facebook Being born in Deventer, a city used to shoot the world-famous movie A Bridge Too Far, he always had a passion for shooting locations and tourism, in which he hopes to find a job.